The Nokia brand will always have a special place in my heart. You see, the only phone (back in the day?) that had a simple enough user experience for an older person like my Mum to figure out how to send and receive texts was a Nokia. 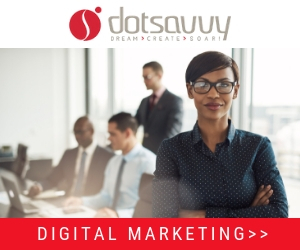 Yes, it was a simple Nokia feature phone but it liberated her mobile experience and empowered to do things she simply couldn’t do before that apart from making phones calls using her hand-written phone numbers in her notebook (that’s how she rolled). The reality is that super successful Nokia got massively disrupted by the arrival of the Apple’s game changing iPhone and soon after Google’s Android powered legion of smartphones. I recall how this happened vividly and I remained loyal for a period of time as the Android tsunami gathered momentum in Kenya, and the rest of the world. Eventually and inevitably, it was pretty clear that the Nokia brand was the walking dead as it got out innovated and refused to face reality, eventually being acquired by Microsoft who really put the last nails into the coffin. Nokia for all intents and purposes died. Indeed, as the saying goes, ‘nature abhors a vacuum’ and indeed numerous brand filled it when the Nokia brand exited stage left to make room for the likes of Samsung, Infinix, Wiko, Tecno and numerous other mobile brands. However, given how popular the venerable Nokia brand had become after decades of success globally as a mobile device manufacturer, HMD Global revived the brand and relaunched it with a mix of Android smartphones and feature phones this past year. 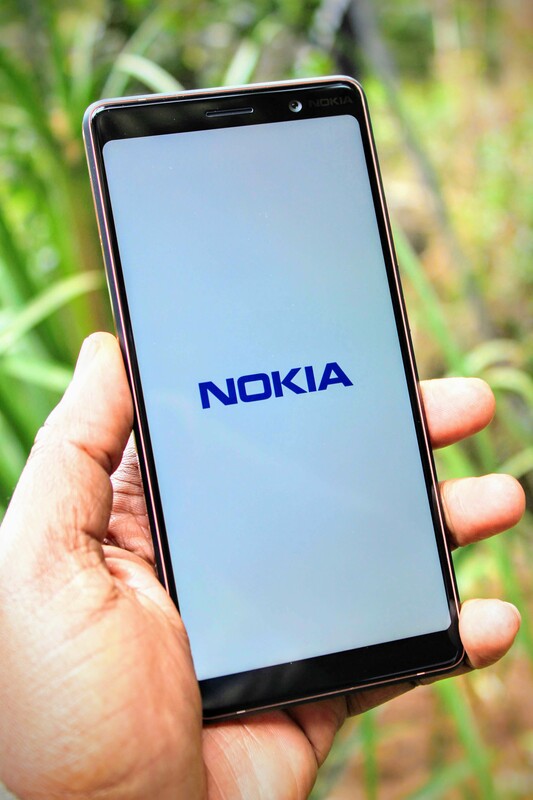 The results have been spectacular in my opinion with its range of Nokia Android smartphones clawing back marketshare amongst a broad range of fierce competitors. Nokia is back in a big way and you can see it in the marketing that it’s positioning its range of devices as high quality and yet affordable – these are hallmarks of the Nokia of old – beautiful and thoughtfully designed mobile devices which are also really durable and last for years. It’s great to have you back, Nokia! The Price Seems Too Good To Be True! It is currently retailing for approximately Kes. 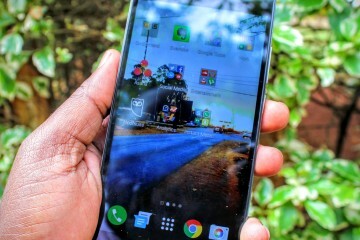 35,500.00 across various retailers in the marketplace, meaning that it would sit in the upper-end of the mid-range Android smartphones on sale in Kenya as of this writing. It’s not that Kes. 35,5000 is by any means cheap but in world where flagship iPhones and Samsungs are going for Kes. 100,000+, the Nokia 7 Plus seems like a steal! 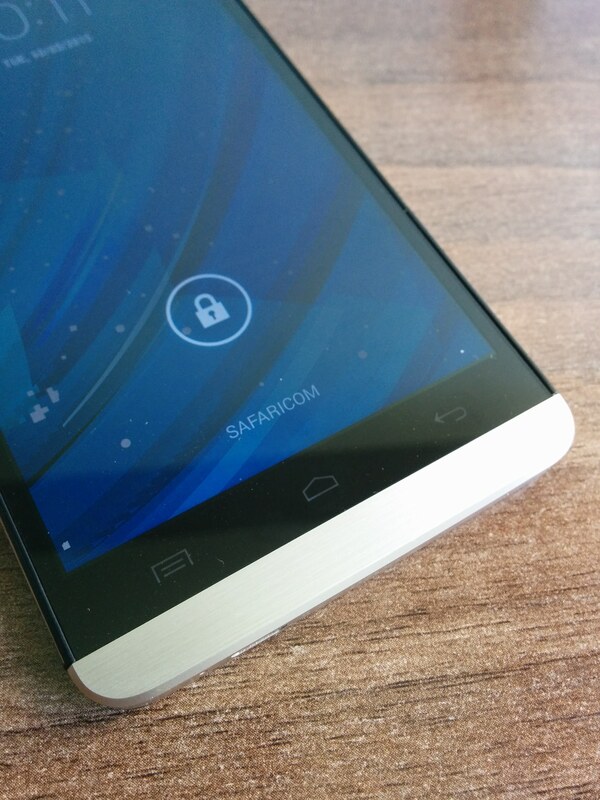 The amazing thing is that everyone who sees it when I hand it over always thinks its a phone retailing for around Kes. 50,000+? That’s how good the Nokia 7+ looks. It does not look inexpensive and that’s what really gets me – it looks like great value at Kes. 35,500.00! 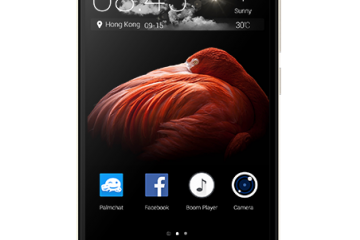 The industrial design and build of this phone, also known as ‘the look and feel’ is really ‘off the hook’. It looks expensive. It looks well built. It looks premium. 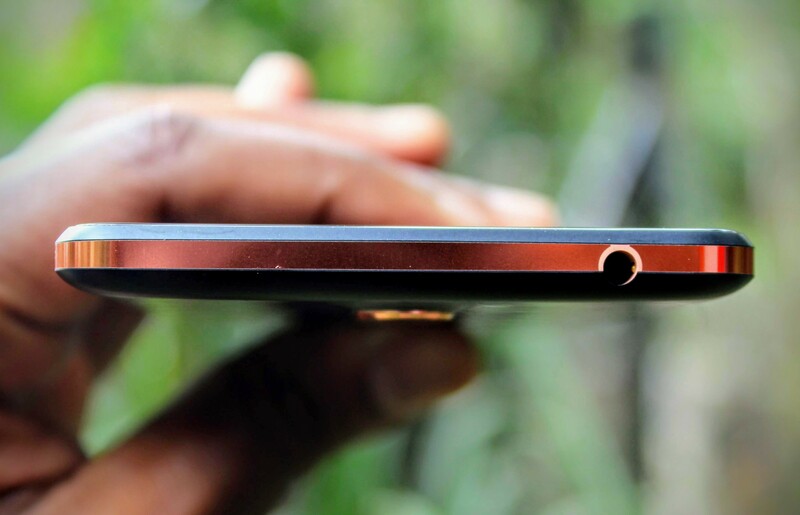 Consider the copper coloured metal band that runs along the edges of the Nokia 7 Plus. Consider the ZEISS optics on the dual back-facing cameras – each with a unique function for the best photos and videos. 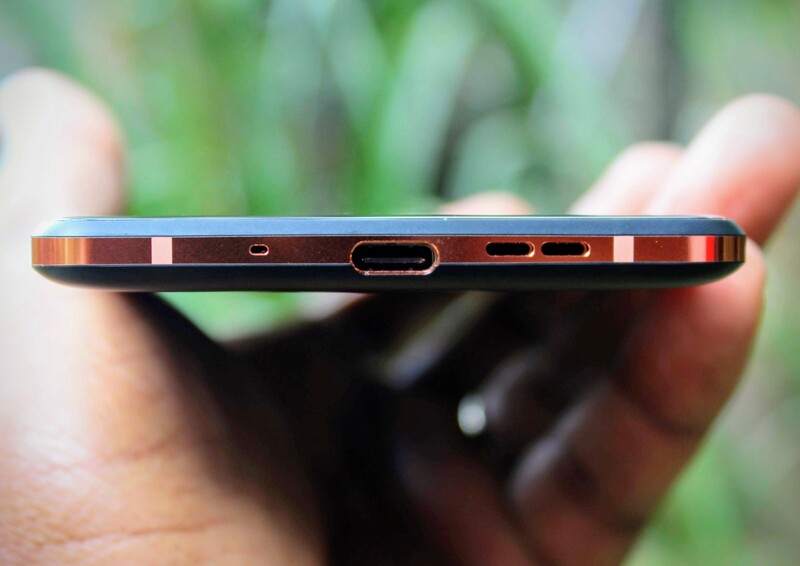 Consider that it’s a USB-C device and yet it still has the now old school 3.5mm headphone jack. Consider the 6 inch gorgeous HD display. Consider that its machined from a solid block aluminium with a ceramic-like finish and is therefore not made from polycarbonate – it’s not just aesthetically beautiful, it’s also very durable! The Nokia 7 Plus screams quality as only a smartphone bearing the Nokia marque should. The Nokia 7 Plus is the highest order of smartphone flagship killer. Nuff said! The Battery Seems To Last, Forever! This aspect of the Nokia 7+ actually spooked. I would fast charge it (more in that later) in the morning and have loads of battery life at the end of the day and enough to push till the next day. This is without a doubt one of the longest lasting batteries I have ever seen in a smartphone to-date – True. Story! The Nokia 7 Plus just keeps going and going and going like the Energizer bunny. It simply can’t stop or won’t stop. It’s refreshing to get a phone that lasts this long in the era of everyone lugging around a power bank for their smartphones. You don’t need one with the Nokia 7+ which comes with a large 3,800 mAh battery. The Nokia 7 Plus comes with Android One. Android One is a stock version of Android Oreo as Google intended it to be. This means that this is as ‘pure’ and as an ‘unadulterated’ Android experience as the one that runs on Google’s own Pixel smartphones. Android One offers a great Android experience without all the non-essential ‘bells and whistles’ that many OEMs like Samsung still add to their Android smartphones. 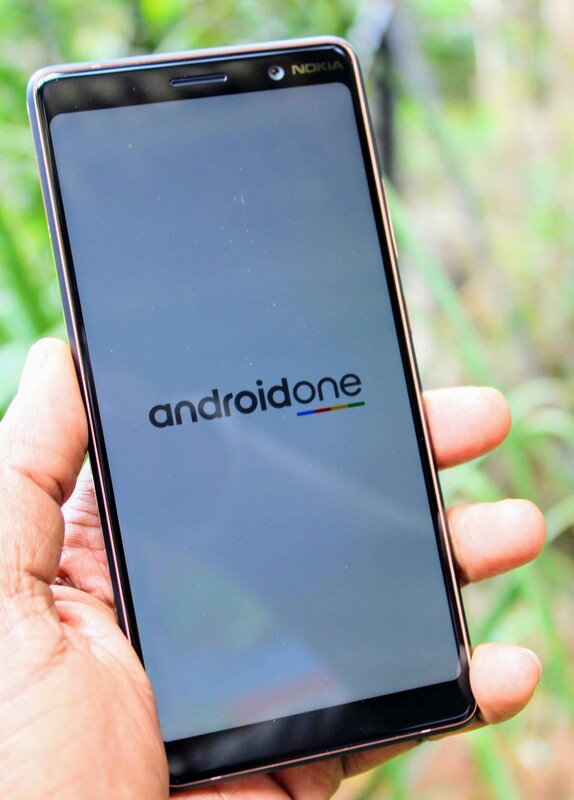 Having been a user of multiple past Google Nexus devices (the precursor to the Google Pixel smartphones), I am a big fan of Android One which feels familiar and ‘au naturel’. It is beautifully simple and functionally elegant. It just works really well on the Nokia 7 Plus. It also means that when the next version of Android becomes available from Google, the Nokia 7 Plus will be one of the first devices to get the upgrade. The Cameras – All Three of Them! 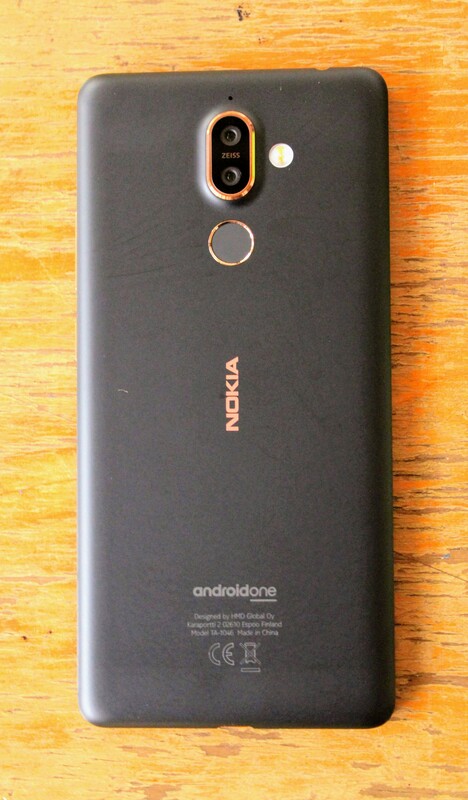 The Nokia 7 Plus comes with two back-facing cameras and one front-facing cameras. The cameras are really where the Nokia 7 plus shines! The back-facing cameras with ZEISS optics have 12MP and 13MP sensors with 2X optical zoom. I took numerous videos and photos with the Nokia 7 Plus in all sorts of scenarios and it’s easily one of best smartphones within its price range. 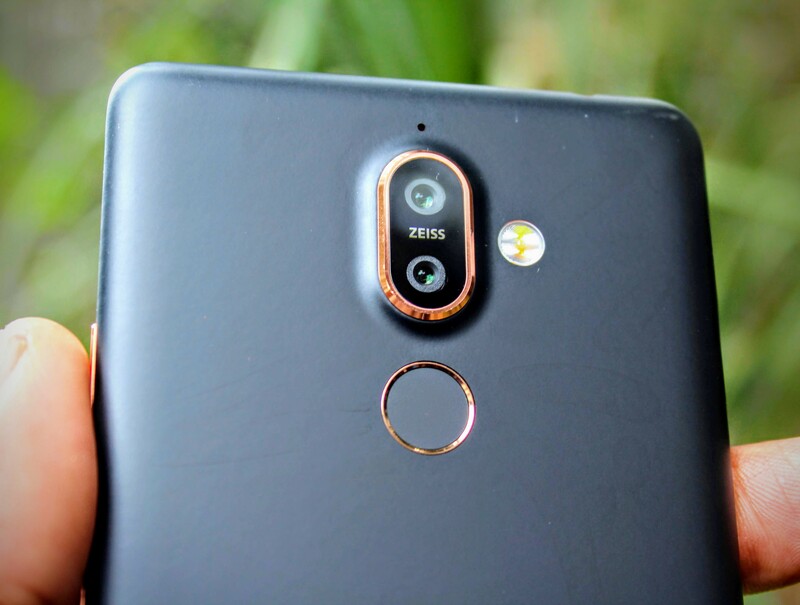 As for the front-facing ‘selfie’ camera this has a 16MP sensor and is equally up to the task as is the case with the back-facing cameras. The other features that make this a worthy camera phone include the pro camera mode. This means that you can really adjust how you take your photos and videos as you would with a fully fledged DSLR professional camera. You can really change all sorts of settings such as white balance, focus, ISO, shutter speed and exposure compensation, so as to get the most out of the Nokia 7 plus’ cameras. Not all Android smartphones give you this sort of control so for anyone looking to get the most from a smartphone camera the Nokia 7 plus is a great choice. The Gorgeous 6 Inch IPS LCD Screen! In this day and age, it’s a foregone conclusion that Amoled screens have become the benchmark for mid-range to high-end smartphones, especially since Apple also switched over with its latest iPhones. However, what we may forget is that until recently IPS LCD screens were still considered to be as good as they get. In this respect, the Nokia 7 plus has an IPS LCD screen but it’s really vivid and sharp. I have used some of the latest Samsung smartphones with Amoled screens and side by side the Nokia 7 Plus is only slightly behind these in how vivid the screen looks. I personally loved it and had no qualms using it to watch movies or downloading images for viewing and edits. In a nutshell? The Nokia 7 plus has a great screen! That’s all you need to know. 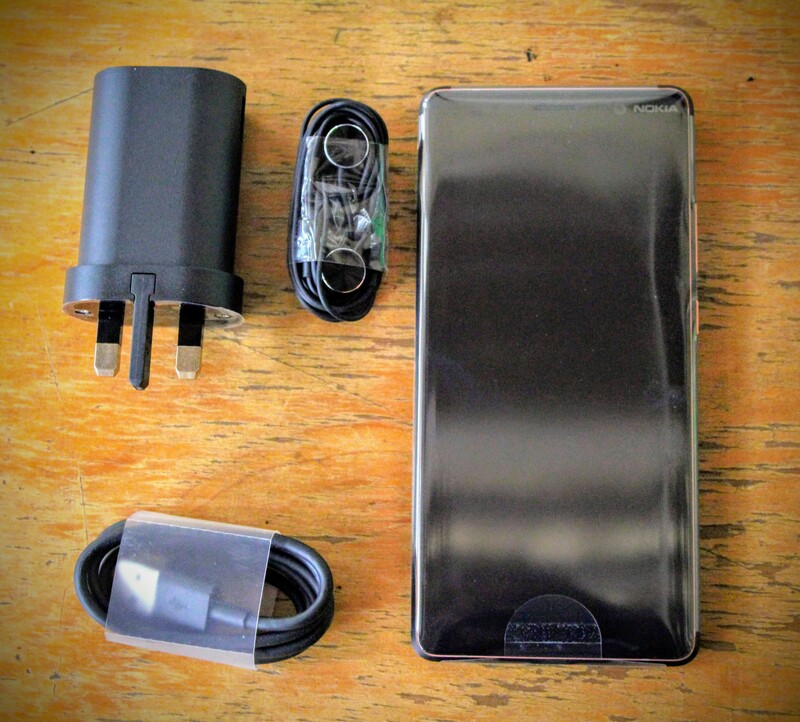 The Nokia 7 plus is designed for fast charging. This means that with a 30m minute charge, you get over 50% of a full charge from the time you plug in if your battery was dead or nearly dead. This for me was a game-changer and the first time I did it I could not believe how fast it got recharged. To put this into context, the Nokia 7 plus can easily go for 2 days on a single full charge. Therefore, from a time management perspective, and given how long the battery can run without needing a recharge, you can actually gain time instead of losing time waiting for it to charge. In a world where time is everything, the Nokia 7 plus gives you back time! The Nokia 7 Plus comes with a Qualcomm Snapdragon 660 processor and 4GB or 6GB of RAM (the version I had came with 4GB). The Nokia 7 plus I am using also came with 64GB and a Micro SD slot that could be extended up to to 256GB. The Nokia 7 Plus is a dual SIM device which means you can have your two preferred SIMs active on the same at all times. The Nokia 7 plus supports LTE / 4G so going online via compatible mobile networks makes this a speedy smartphone when you are online. The above specifications mean that the Nokia 7 plus is firstly very snappy so that there is no lag time when you are running multiple mobile apps and functions concurrently. 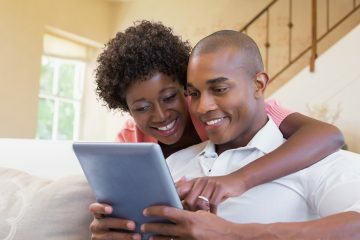 In addition, the decent storage space of 64GB means that it’s unlikely you will have any storage issues unless you are really loading up on video and visual content that takes up lots of space. However, given that you can add more storage via the Micro SD slot, you’ll be just fine. The Nokia 7 plus is a great smartphone at a great price. I would give it a solid 8.5/10 for those considering a high quality and beautiful smartphone that is as aesthetically well designed as it is well built. 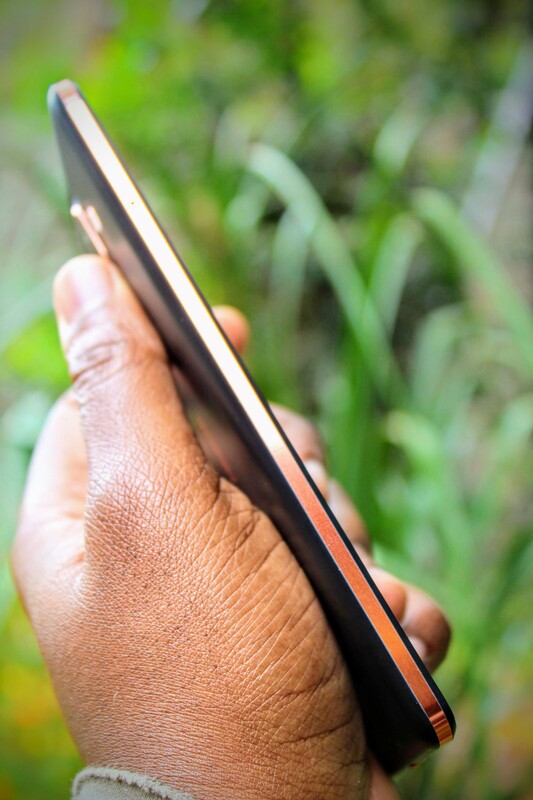 There are few smartphones in Kenya today that can match the Nokia 7 Plus and go head to head from all perspectives so this is definitely a really special phone! Kudos to HMD Global for reviving the Nokia mobile brand and giving usconce again a Nokia device that stays true to its legacy!